Being a mother, this is so important for me. Having two girls is something that is a journey that never stops teaching you. 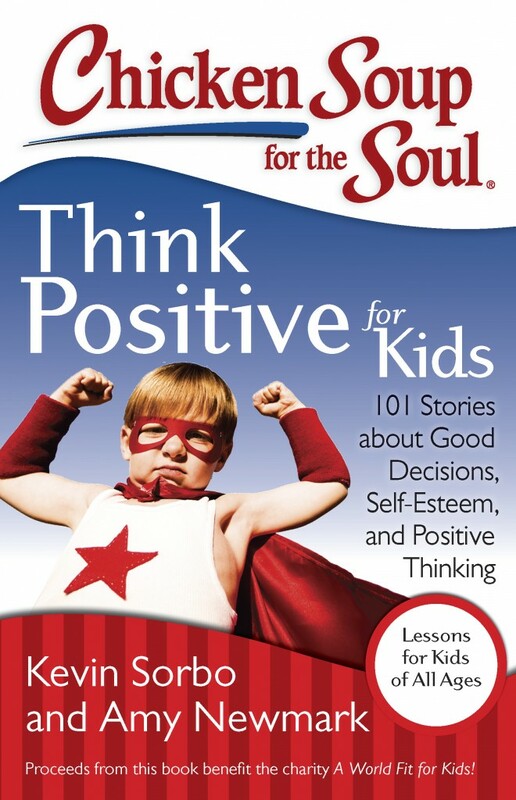 This book is filled with 101 stories about good decisions, self-esteem and positive thinking that will help any parent and kids of all ages. Give a child gifts that will last a lifetime – self-esteem, tolerance, values, and inner strength. This book is filled with inspirational stories for children and their families to share, all about kids making good choices and doing the right thing. The values that children learn today will stay with them for the rest of their lives. This collection gives kids positive role models to follow in its 101 stories about doing the right thing and making healthy choices. You and your child will enjoy discussing the stories, making it a family event. Great for teachers to share with students too. Having two daughters, I want to make sure that they grow up with good self-esteem, the ability to make good decisions and to always have positive thinking. I enjoyed reading the stories, you can read stories to help your kids be responsible, to try something new, making real friends, doing the right thing, handling bullies and cliques, being grateful and so much more! Not to mention Kevin Sorbo of Hercules, teamed up with Chicken Soup for The Soul to bring us all these stories. I know that I can relate to some of the stories and I know what I have to look forward to as well. 3 lucky Canadians and Whispered Inspirations readers will win 1 of 3 copes of this copy. This contest is open to CANADIANS and this giveaway begins on December 26th, 2013 and ends on January 10th, 2013. How do you encourage the child in your life? I'm a really positive thinker, so I tend to praise a lot when my kids do positive things. I try to give lots of hugs and love, and praise them whenever they try something new and try to help. Great book for kids! Love this review of the book! Thanks! I'm a positive person so I'm always looking for the good to comment on. Encourage them in the things that they do. We can't all be perfect and they need to be aware of that and that to try their hardest is the most important thing. I send encouraging notes on tough days at school. We all need to think more positively. Especially for our kids! This looks like a great daily read!! I encourage him by being positive, listening when he needs to talk and trying not to judge. I encourage my children with lots of verbal praise, letting them know a good job done.